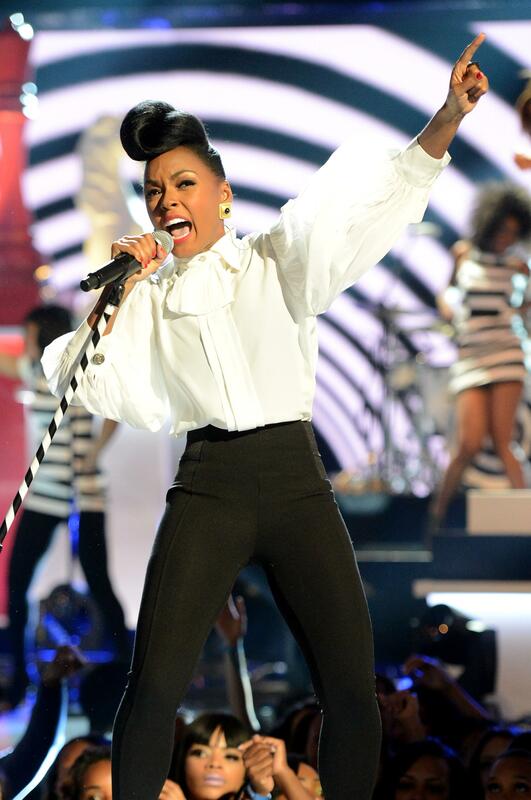 Janelle Monáe new single "PrimeTime": The singer duets with Miguel on the power ballad. It’s been a rewarding few months for fans of Janelle Monáe. In April, she dropped the irresistibly funky track “Q.U.E.E.N,” a duet with Erykah Badu that was almost as thought-provoking as it was utterly danceable. Then came the equally enjoyable “Dance Apocalyptic,” an uptempo ‘60s-flavored pop song. Her latest single is “PrimeTime,” a duet featuring Miguel, and it’s a bit of a departure for the singer. A straightforward power ballad, “PrimeTime” finds Monáe singing over a slow, seductive beat: “When you’re down and it’s hard/ And you feel like you’re giving your all/ Baby, our love will always keep it real and true.” It’s pretty standard R&B fare, but it’s a refreshing change of pace for her—and catchy, too. So far, it seems like Monáe’s three for three; if this is any indication, her new album The Electric Lady, which comes out next month, could be great.